Tank Style Dresses run very true to size. The tanks are ribbed so they will stretch or conform to the shape of your child. 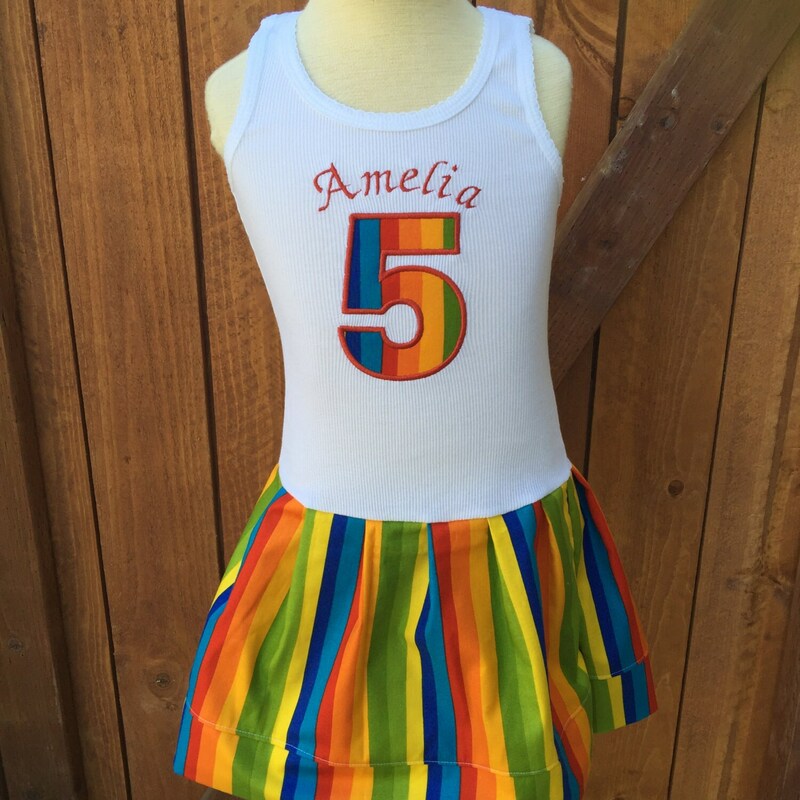 This dress includes the number applique on the tank. Names can be added by selecting at checkout. At checkout, please state size, number, and name is addeded. if adding name, please state color thread for embroidery. Absolutely perfect. My daughter fell in love with her dress. Her 6th birthday party theme is rainbows and they even made a hair bow to match. This was adorable. My daughter was comfortable and looked very cute. Super cute! Custom made to fit. Measurements exact. This transaction was a pleasure. Will definitely purchase from this shop again. Thank you! Very well made, size was perfect. My daughter loves this dress.